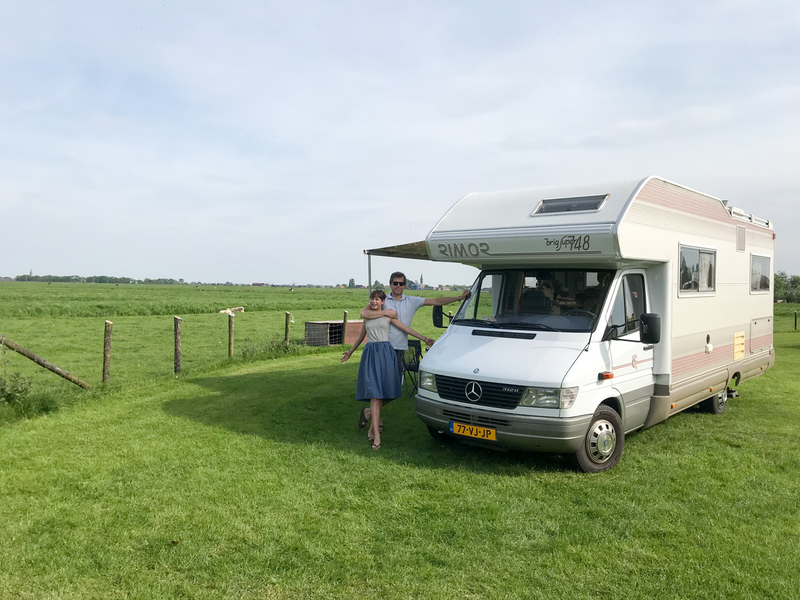 As you might have heard, Tamar and I recently bought a campervan. It was a bit of an impulse buy, but we’re really excited about the idea of it. This summer we’re planning to trek around in it for 6 weeks, exploring Eastern Europe. We’re hoping to make it to Transylvania (I’ve been intrigued by Transylvania for years!). From there we’ll go south to the Black Sea, hitting Turkey and Greece on our way to Albania. 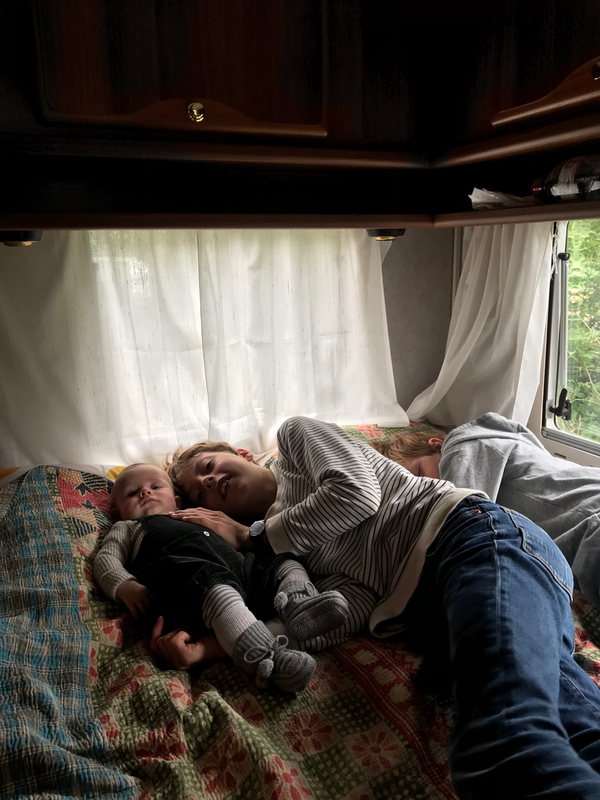 And then back north through beautiful Montenegro, Croatia and Slovenia… These are just our rough ideas, but who knows, we might never make it further than Austria and that’s fine as well. It’s all about flexibility and freedom this summer! 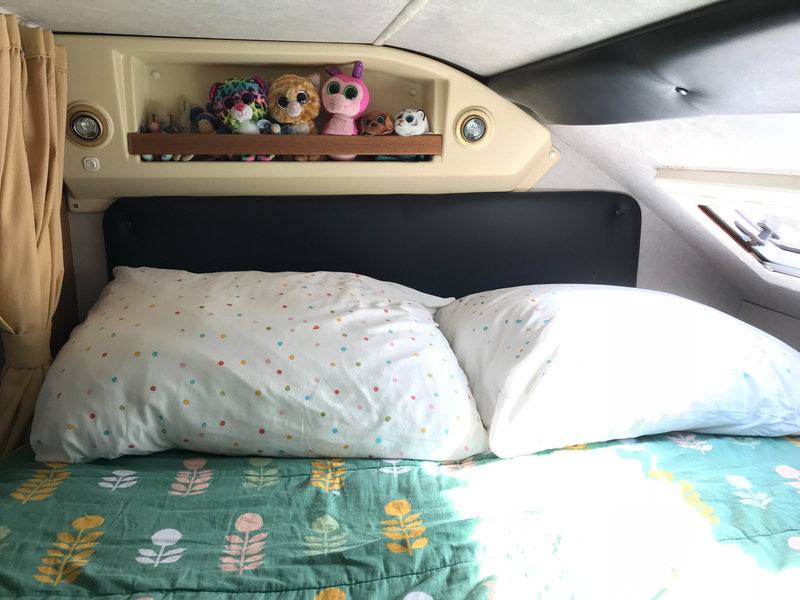 Here are some photos of the interior of our camper. Looking to the front of it, you see the two front seats with behind them two tables. On the left is a table for 4 which converts into a double bed. 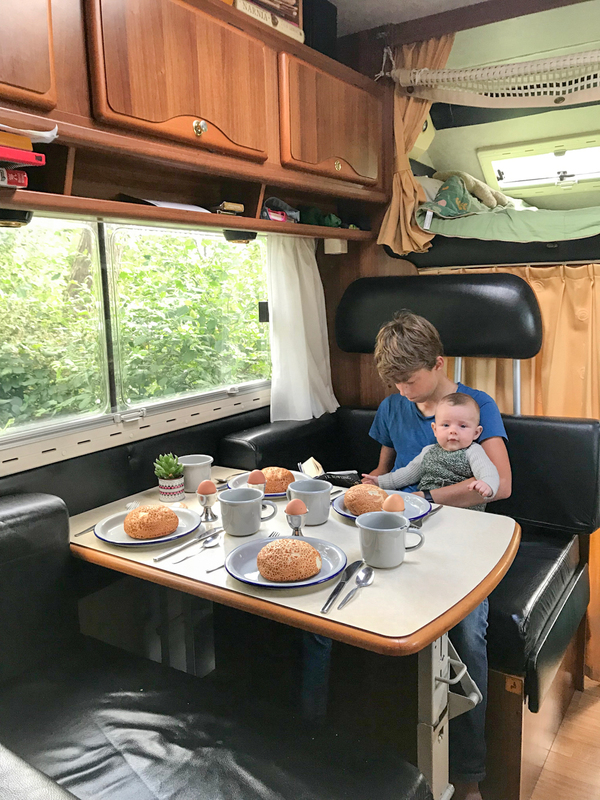 The table on the right (for two) coverts to a abed as well and sleeps one child. You can also pull out the bench behind the driver seat all the way to the right, creating a longer bench. 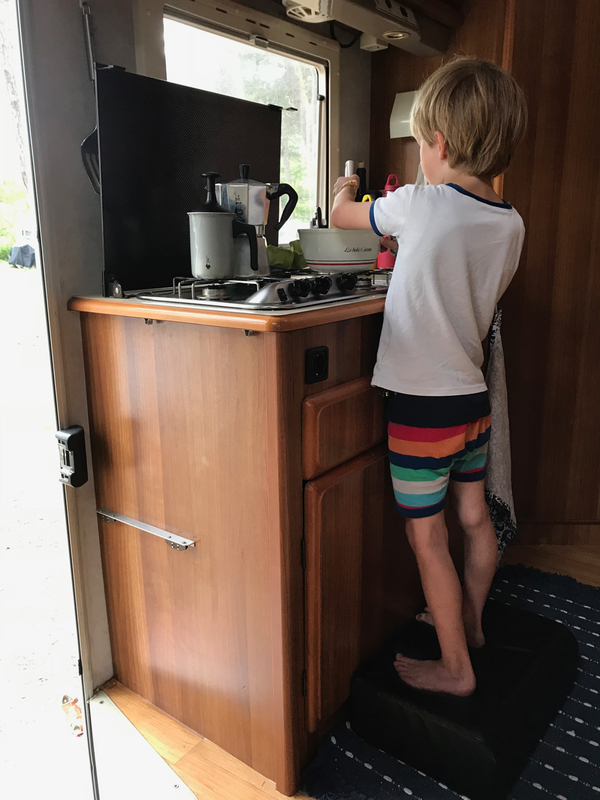 We’ve discovered lots of these clever things about our camper — it’s really optimised for space! On the left you see the heating (which hopefully we will not be needing), and on the right the entrance door with a doormat I couldn’t resist getting ; ). Above the front seats is where the ‘alcove’ is located. This is a really cosy spot where the kids love to hang out. 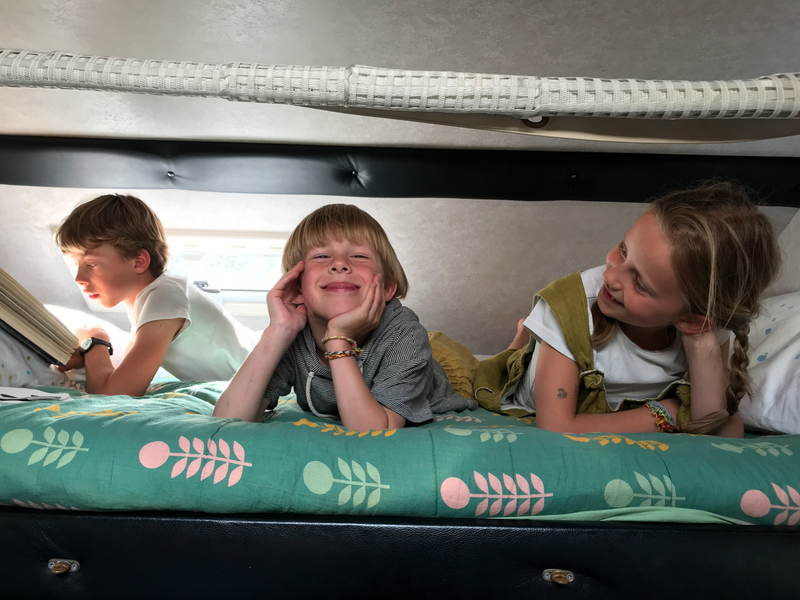 It officially sleeps two people, but we’ve easily fit three smaller children up there. There’s a net in front of the bed that rolls down and can be clipped to close, giving a sense of security to whoever sleeps up there. There are reading lights in the alcove and a shelve to keep some personal things. (Are your children obsessed about Beanie Boos too?) 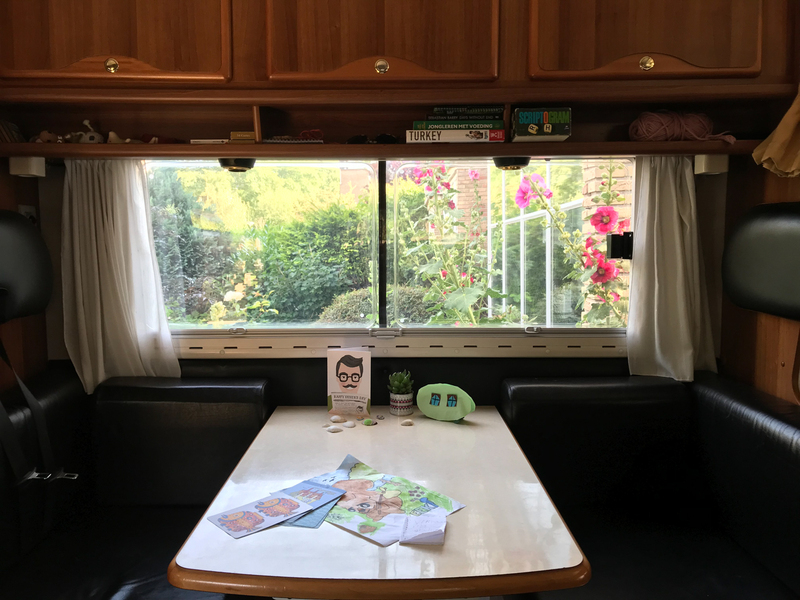 The small windows can be openend and have black-out curtains and insect screens, like all of the other windows in the campervan. On both sides above the table are horizontal cabinets. We’ve given each child one cabinet for their clothes, which seems to work well and keeps everything more or less organised. 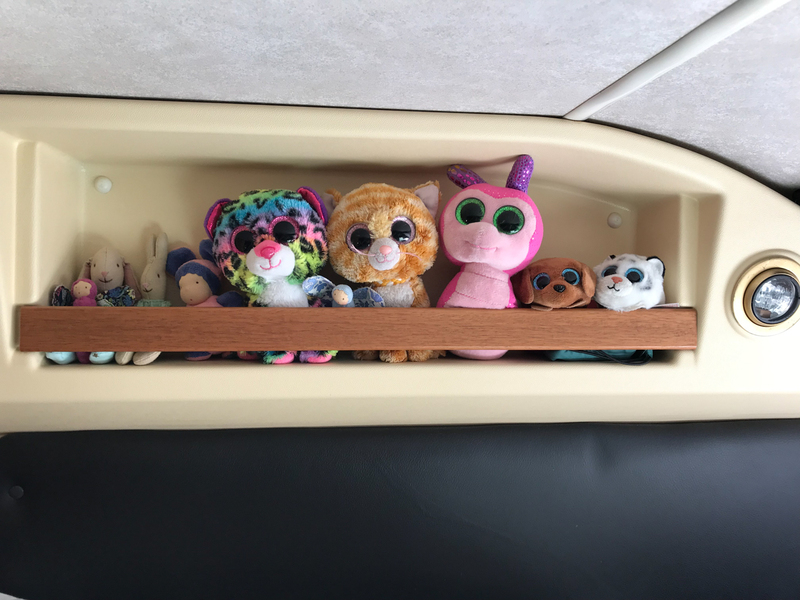 There are open shelves on either side as well, for little knickknacks, but as soon as you hit the road you have to put these in a basket as otherwise they’ll all drop down. Looking back from where the tables are, you see the tiny kitchen on the left with a hood and two cabinets above (where we keep our enamelware) and more storage underneath (cutlery etc). Opposite you the door of the fridge and the freezer. There’s even a little oven above! Next to the fridge is some bigger storage which we mainly use as a pantry. On the right hand side is another double bed, again with cabinets above. Underneath this bed is a huge storage area which can be accessed by that little door you see underneath, but also from the outside of the campervan. This is where our folding tables and chairs live for outside, as well as some of the children’s beach toys, some tools, etc. 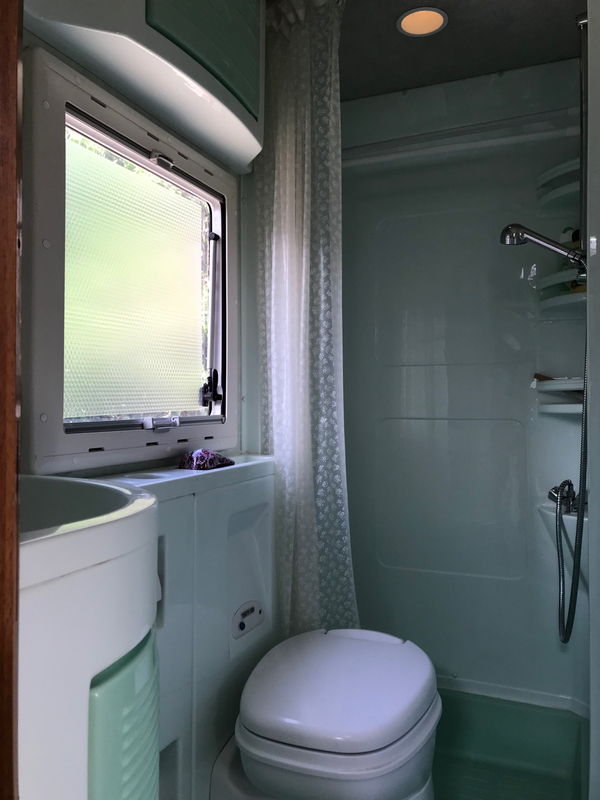 On the left is our bathroom, which is super small and entirely mint green. 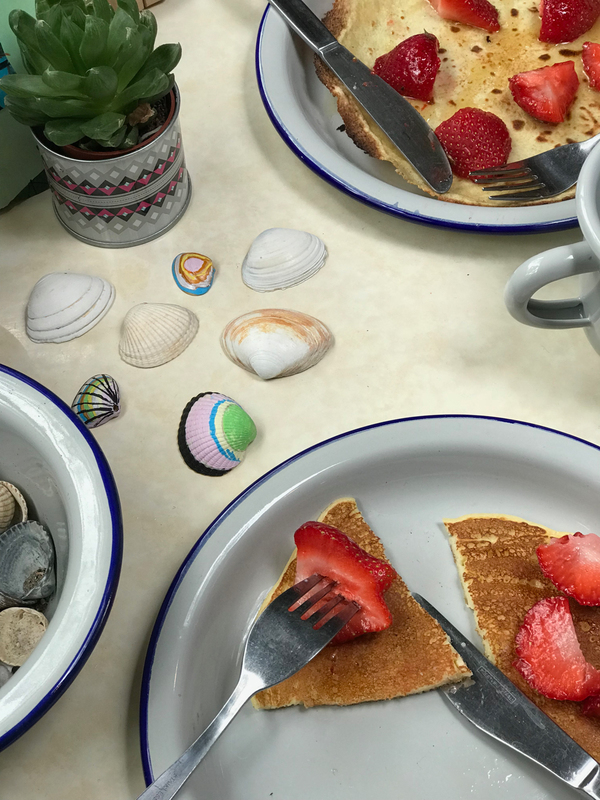 Even though we’ve mostly been using the campsite’s facilities, it’s handy to have a place to brush your teeth and keep your toiletries, and of course a little toilet is nice to have as well. 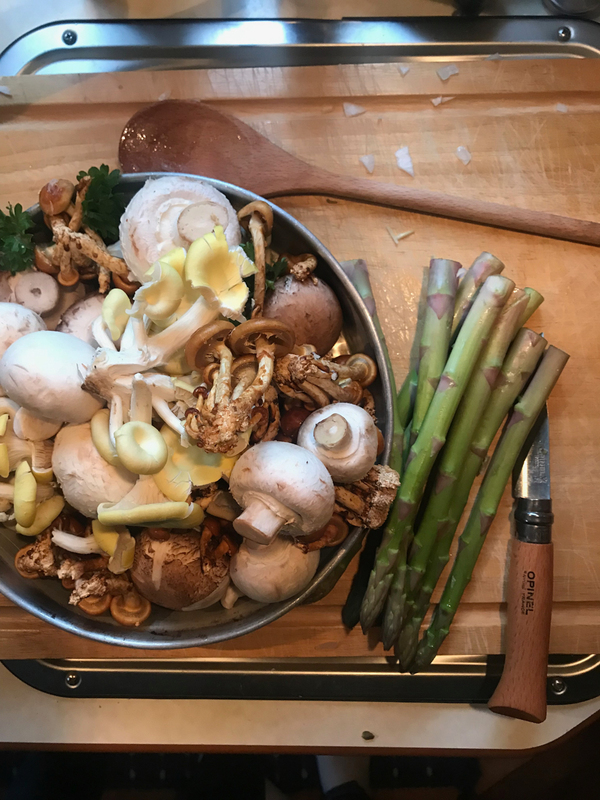 The kitchen, as I said, is tiny. There are three burners but they are so close together that you can just really use two at the same time. 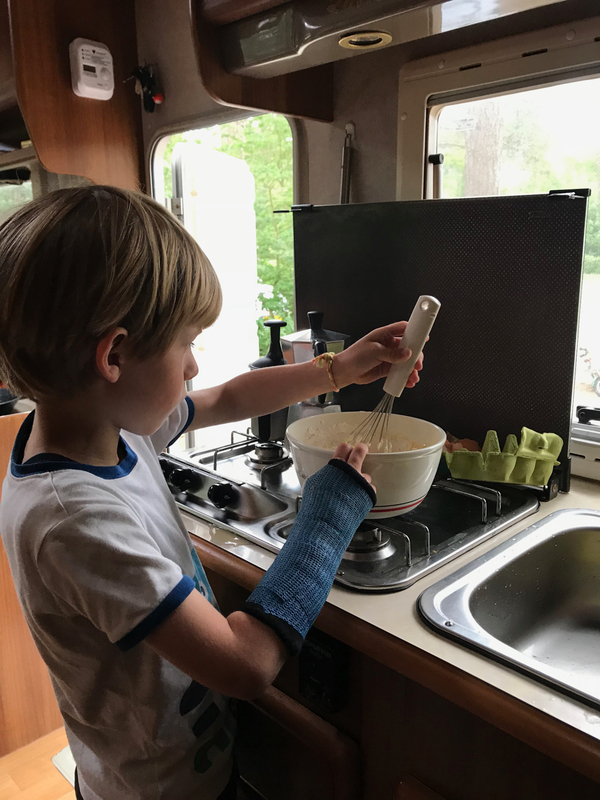 But we’ve managed to cook on it nevertheless! 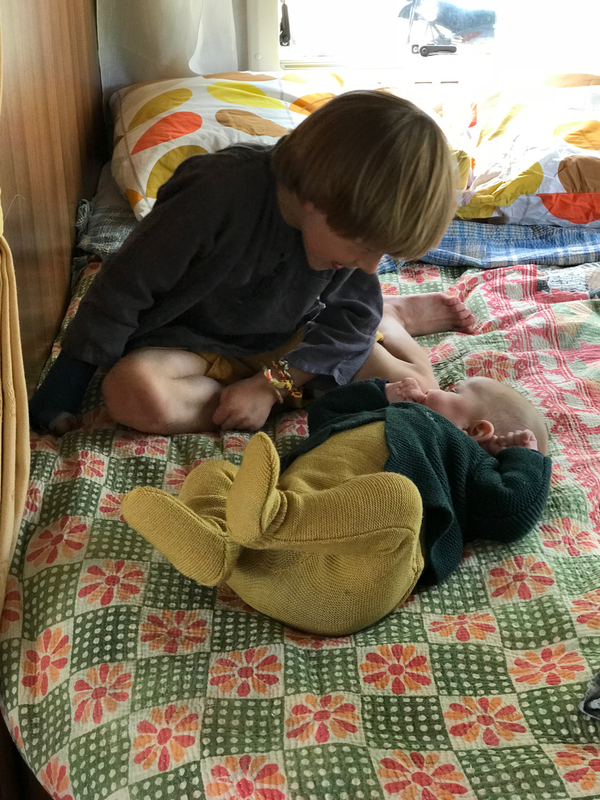 We’ve been practising campervan camping the past weekends, and it’s been amazing to have our mini house with us. We all love camping, and this is really camping PLUS! 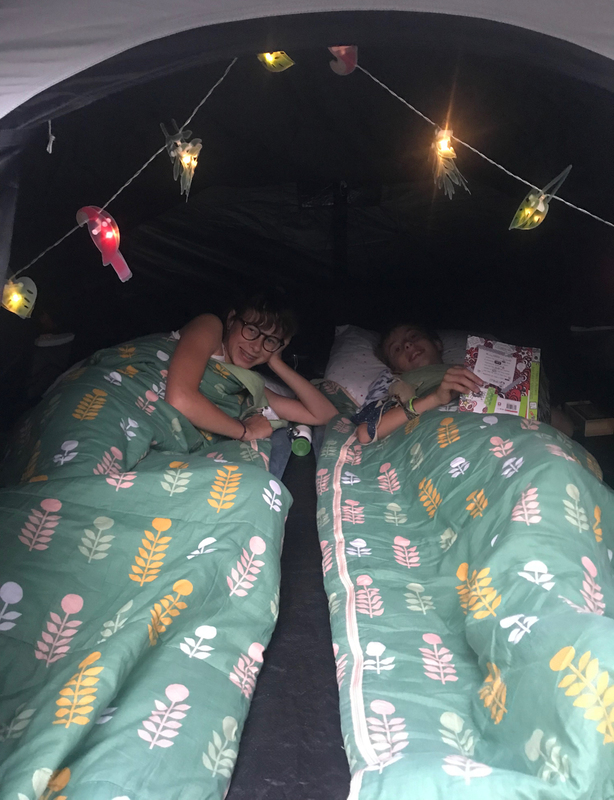 We have a little pop-up tent which we’ve used for outside sleeping and has allowed us to even have sleepovers with the children’s friends. It’s all easy and everything is so fun and flexible! 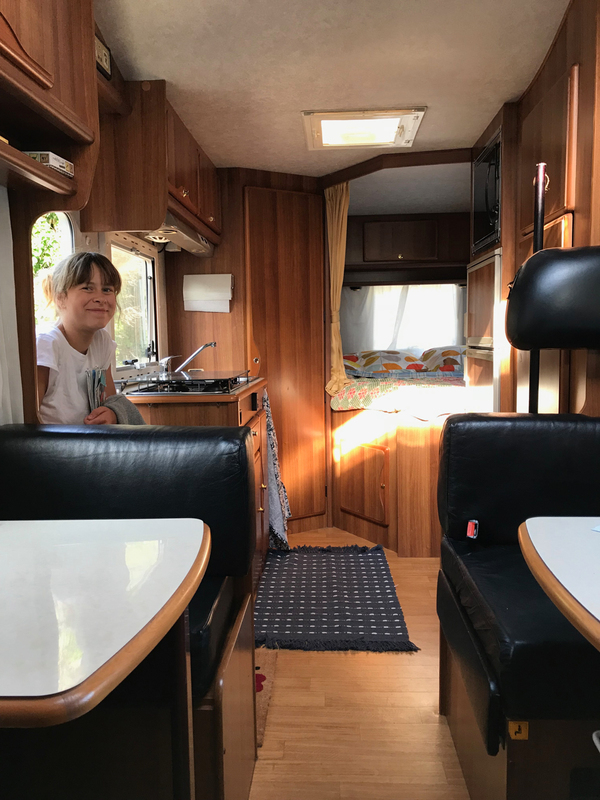 Right, so today we’re off — the seven of us in our little snail home heading for campervan adventures. I’ll be sure to report back from wherever we end up! 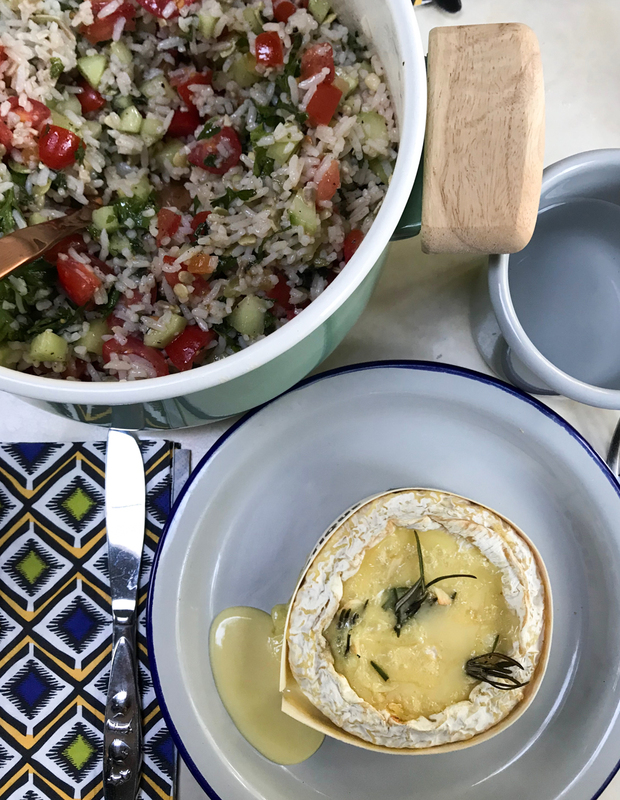 PS Italian inspired tuna and bean salad — the perfect camping food! Bonne Route!!! I am normally not a camper van kind of gal, but that looks like such a fun change. I haven’t been in many years, but former Yugoslavia has such beautiful coasts. I have a kind of insane memory: my father dove into the beautiful clear waters off the coast with the keys to our rental car in his pocket. The adventure that ensued was crazy… the nearest locksmith that could manage to make a key for a mercedes rode his bicycle(!!!) several hours to find us, whereupon, he transformed his bike into a sort of tool powered by his peddling! By a series of very complicated manoeuvres made us several keys ( one for the front door,one for the other doors, one for the boot, one for the ignition!) He measured each part of each key with his little callipers and then adjusted his little peddle powered file and peddled away.Meanwhile my father procured some diving gear and spent the day searching in vain for the keys. hahahah! It remains a kind of legend in our family. It was many years ago, I think things have changed a bit, but dont forget and go diving into the adriatique with your keys, and HAVE FUN! Enjoy!!! This looks fab!! Looking forward to hearing what you think of Transylvania (if you make it that far! )- one of those places we’ve always wanted to visit. 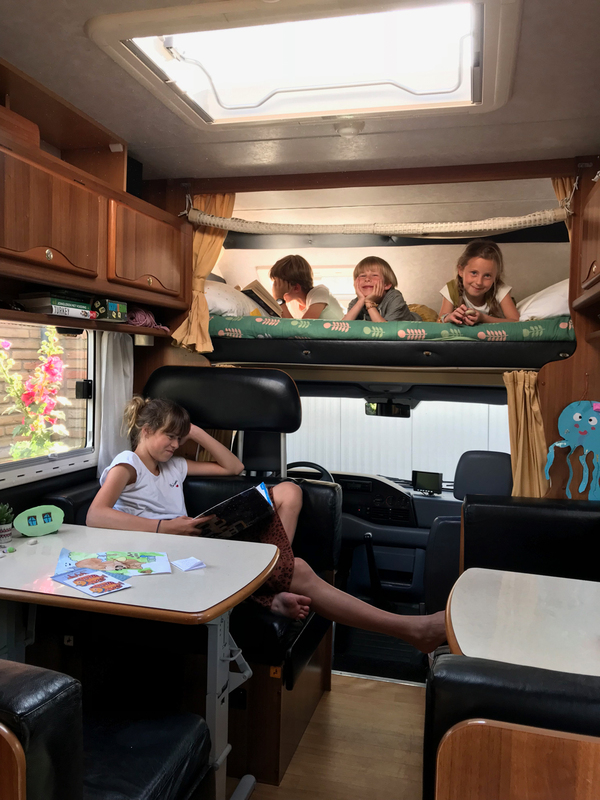 This looks so exciting and it’s such fun to see the inside of the camper van! I’ve never seen one. Where do all of the children sit when you are driving? Do you wear seat belts, sit in car seats, etc.? I wish I had that locksmith nearby!!! 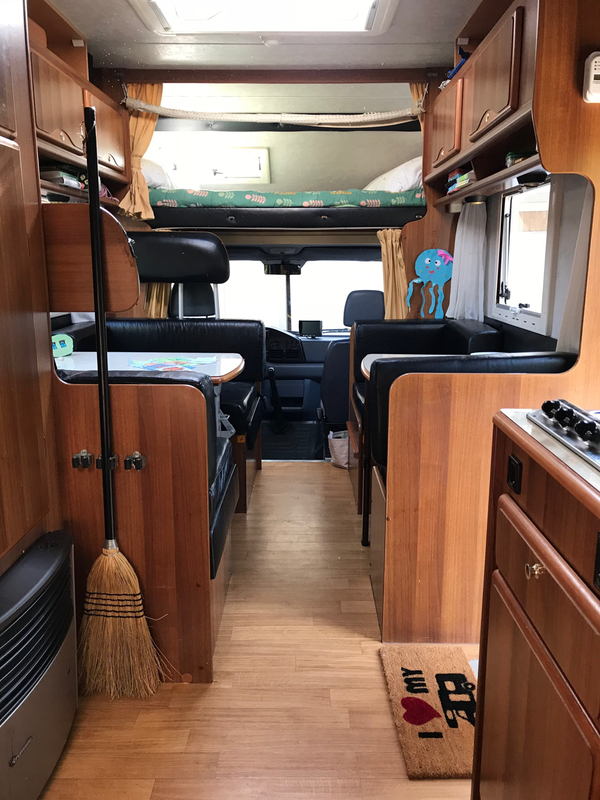 Campervan looks fab – looking forward to hearing all about your trip. How wonderful! 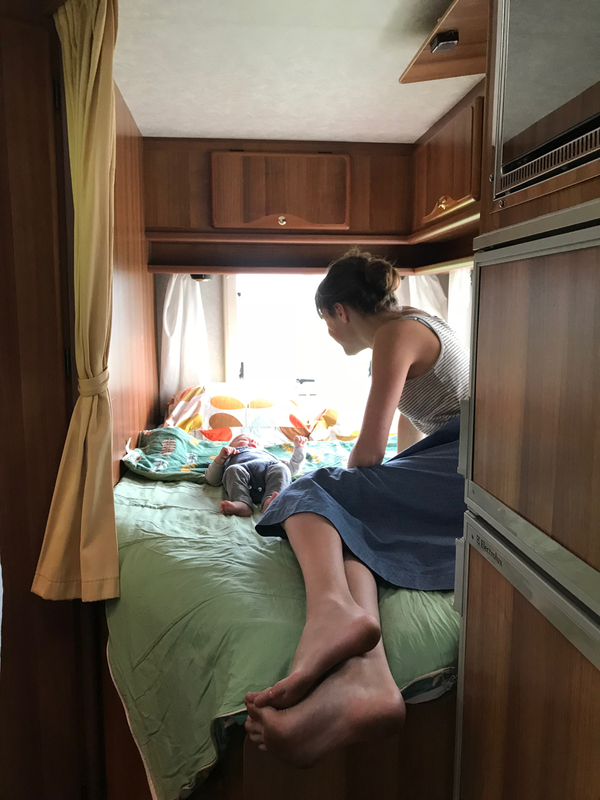 I dream of having a campervan one day for family adventures. I have the same question as above- where do the kids sit while driving? Amazing! I cannot wait for the updates! 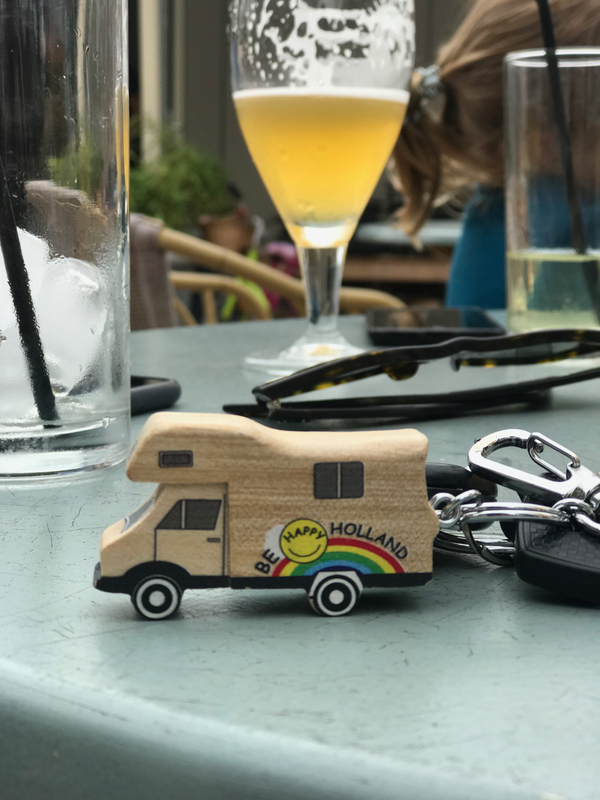 Good luck…i live in a motorhome and its great to just shut the door and head for the coast…i used to take my grandchildren when they were babies…they loved it….happy wanderings…..ian…. 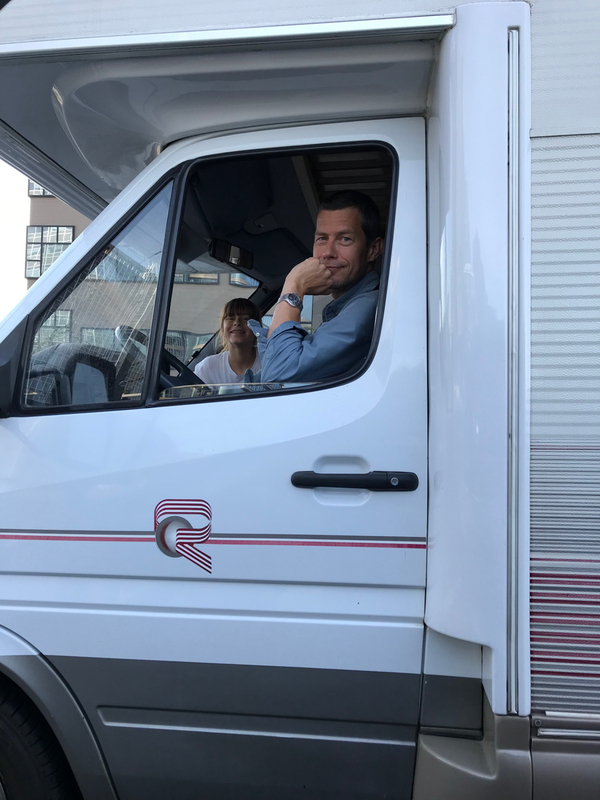 I, too, wonder, about the logistical details of actually driving in this camper van. Six people total, one in infant car seats and some other kids perhaps in at least booster seats (though that’s the US experience talking). In the olden days kids just wondered around the back, I guess. How do you address that today?